Most people know and understand the importance of brushing their teeth twice a day. But, what about flossing? Many don’t floss every day as recommended by a dentist, partially because flossing doesn’t provide instant gratification like brushing your teeth does. While most adults receive a lecture from their dentist about the importance of flossing every day, the advice often goes in one ear and out the other. 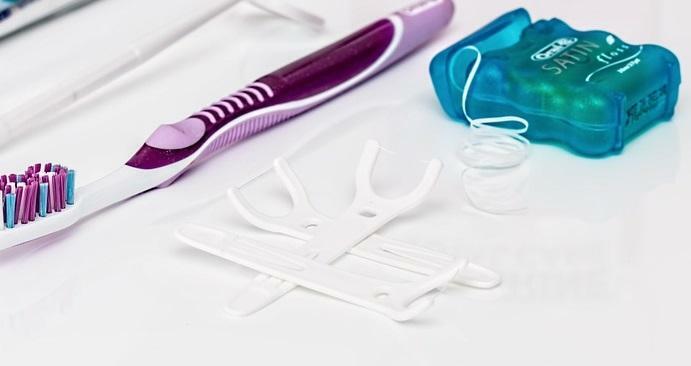 Before you are tempted to skip flossing your teeth again, here are a few reasons why it is crucial that you implement this important step into your daily hygiene routine. When plaque is left on your teeth for a few days, it is given the necessary amount of time it needs to solidify. Within hours of eating, plaque will begin to harden. After 48-hours, plaque, which causes cavities, will become firmly stuck to your teeth. The best way to remove plaque that has built up and hardened on your teeth is to have it removed by a professional cleaning performed by Dr. Shivji and his staff at Asante Dental. It is not uncommon to experience bleeding gums the first few times you floss. Because the thread becomes bloody, many people avoid flossing. But the more you floss, the less bleeding will occur. Flossing removes bacteria from your gum line, which signals to your body that it no longer needs to send blood cells to the area to fight off an infection. With a reduced sign of infection, less bleeding gums. Other, more serious health conditions, such as heart disease, stroke, diabetes, rheumatoid arthritis and respiratory disease have all been linked to gum disease. When you take care of your gums and maintain gum health, you’ll minimize your risk of other serious health concerns. If you already have these health concerns, improving your gum health can improve your condition. Anyone who has experienced a cavity knows it is not a fun experience. When you floss regularly, removing bacteria from building up between your teeth, you’ll save yourself from having a cavity filled. Pregnant women have an additional reason to floss every day. Gum disease has been found to be linked to premature and low-weight birth. Reduce the risk of having a premature or low-weight birth by flossing your teeth at least once a day. If you find that you are experiencing dental problems, or would like to have your teeth professionally cleaned, call Asante Dental today to schedule an appointment. Asante Dental is a full, comprehensive dental office, staffed by Dr. Shivji, Dr. Ghadiri, and staff. Don’t let plaque and bacteria build up on your teeth, get in the habit of flossing your teeth daily! Your teeth and your health will thank you!